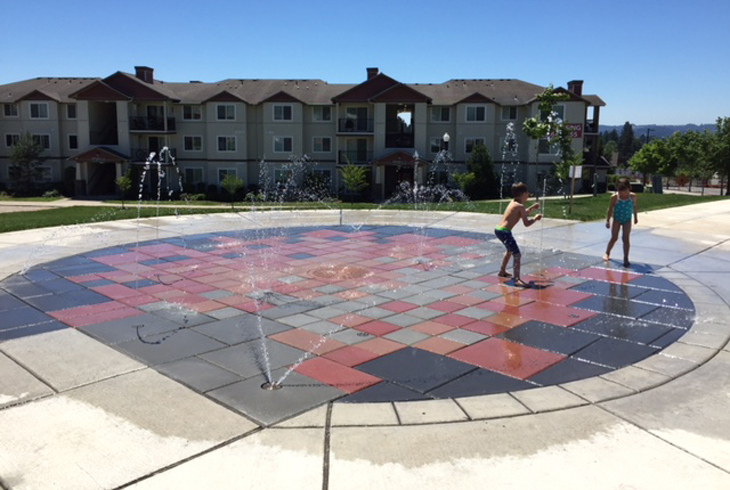 THPRD is currently seeking feedback for splash pad hours. Please send us your preferences using the contact form below. 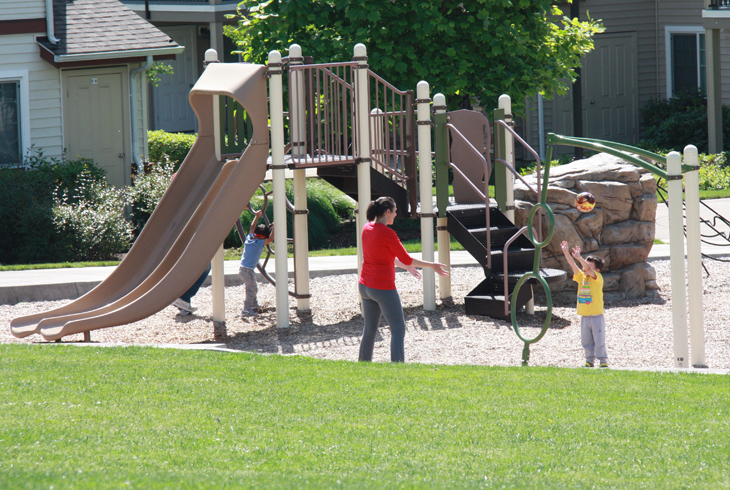 Tucked into a large development of apartment homes in Cedar Mill, this one-acre park provides residents and neighbors a central gathering place. 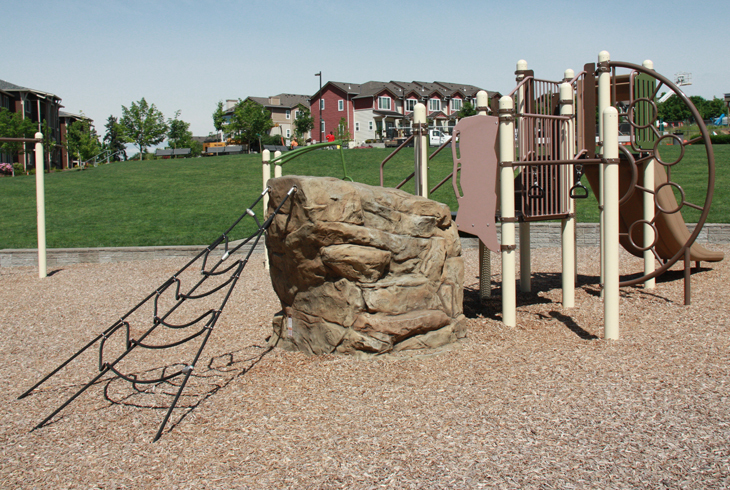 Timberland Park is accessible from NW 118th Ave. (via NW Barnes Rd. or NW Cornell Rd.) and is located just south of Beaverton School District’s new middle school, and just up the road from the Timberland Town Center. At the top of the park sits its most distinctive attraction, a water feature that will keep guests cool during summer weather. Ample bench seating and a drinking fountain are nearby. 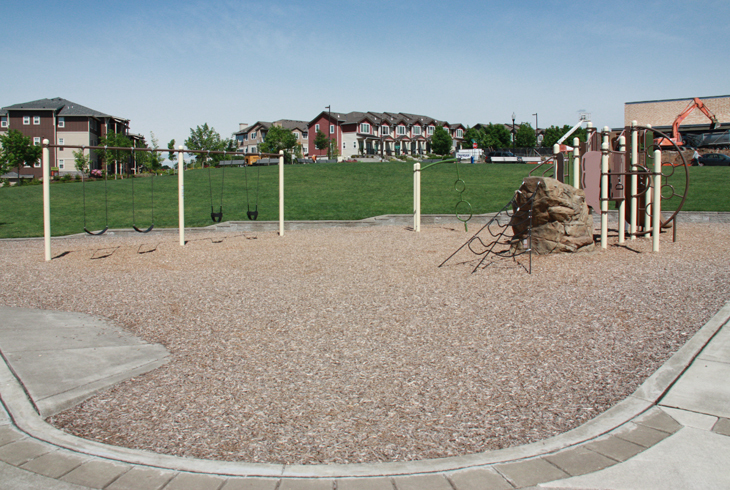 The majority of the park property consists of an expansive lawn, extending from the water feature downhill toward the playground and swing set at the bottom of the slope. Guests can easily walk the paved perimeter path, which is ADA-accessible. For a longer walk, visitors can head west on NW Stone Mountain Ln. to the nearby Cedar Mill Creek Greenway. The greenway includes the Cedar Mill Creek Trail, a multi-use trail that extends more than a mile around Timberland’s perimeter.